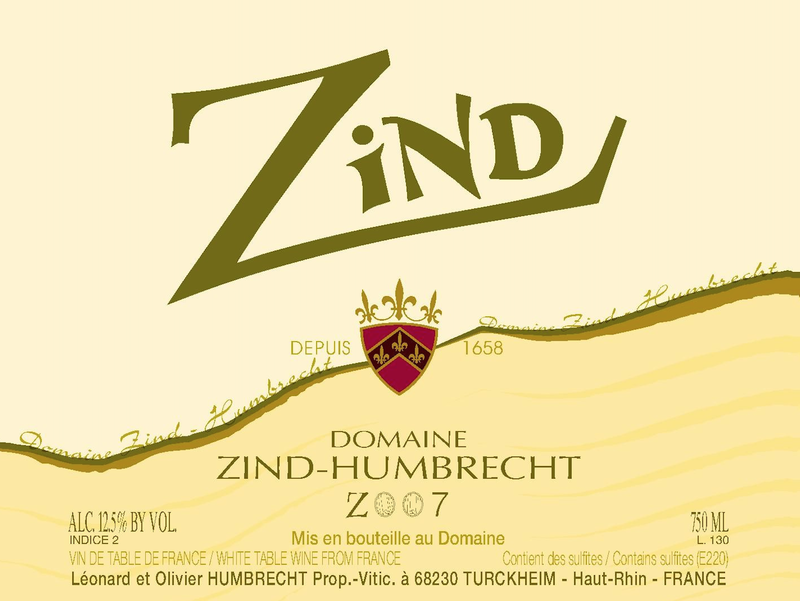 Zind is in fact classified as ‘vin de table’ since 2001, because it contains some Chardonnay which is not allowed in the Alsace AOC. All the Auxerrois grapes (35%) and the Chardonnay grapes (65%) in this wine are coming from the Clos Windsbuhl vineyard in Hunawihr. The pure calcareous soil, later ripening climate and slightly higher altitude make it possible to reach nice ripeness while keeping zesty acidity and healthy grapes. The Clos Windsbuhl was harvested significantly later than our Pinot d’Alsace and with a higher acidity. Fermentation was therefore slower (12 months) and this wine kept a small amount of residual sweetness. 12/2008: the influence of the Clos Windsbuhl vineyard is very obvious in this wine. It feels very crisp with clear minerality on the nose. It eventually opens up to more exotic flavours after a while. The palate starts with vibrant and crisp acidity but then opens up to an attractive round middle. At this stage, this wine is still hesitating between strong stony minerals and ripe fruity influences. The long lees contact certainly made it more austere at first, but also allowed the palate to become much more complex. The medium alcohol power allows this wine to remain highly drinkable and elegant. There is some roundness on the finish, but perfectly balanced with acidity.